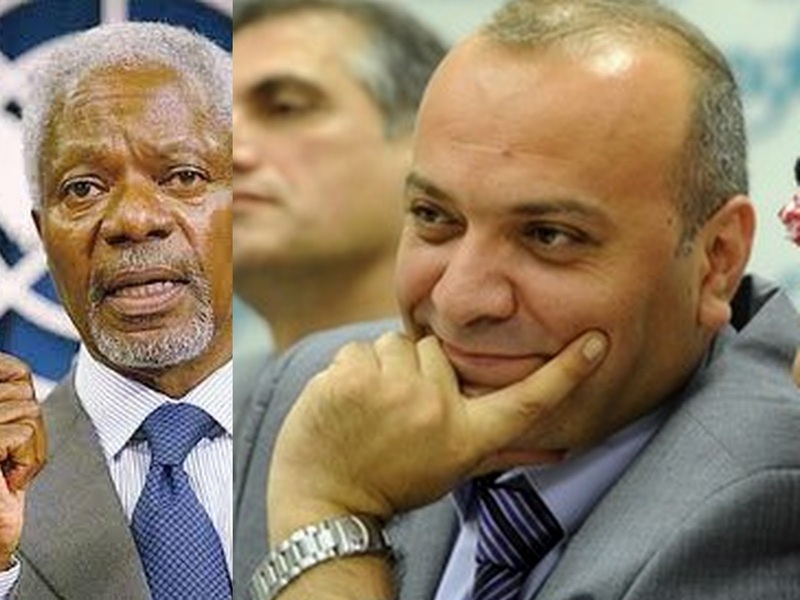 Kofi Annan’s Syria troubleshooting mission is doomed. The opinion is shared by prominent Syrian activist Ammar al-Qurabi, renowned Gulf author Mohammad Al Rumaihi and leading American-Lebanese political analyst Raghida Dergham. According to Qurabi, “The regime can’t commit and implement the (Annan peace) plan. The regime previously endorsed the Arab peace initiative calling for reform and dialogue… I am afraid Annan would metamorphose into a new Dabi,” a reference to controversial Sudanese Gen. Mohammed Dabi who headed the Arab League's observer mission to Syria that turned into a fiasco. Rumaihi, a Kuwaiti professor of political sociology who has published more than 20 books on social and cultural change in the Gulf and Arab world, writes today in a news analysis for the Saudi daily Asharq Alawsat that Annan might make his six points palatable to the regime. “But the issue is not that simple. The regime in Syria has mastered Iran’s time-wasting recipe.” Proof is it has intensified, instead of scaled down, its crackdown on civilians. Accordingly, what purpose does the Annan mission serve? “A twofold purpose,” says Rumaihi. One, it helps Russia save face in that it does not require Assad to stand down. Two, it gives the regime time to stifle the opposition. Filing from New York, Raghida Dergham concurs in her weekly column for pan-Arab al-Hayat, that Annan’s mission helps Damascus stall to buy time and Washington stonewall the Syrian opposition until after the U.S. presidential elections in November.